Wow, I’ve already screwed up my mix tape posting schedule and it’s only week 2. 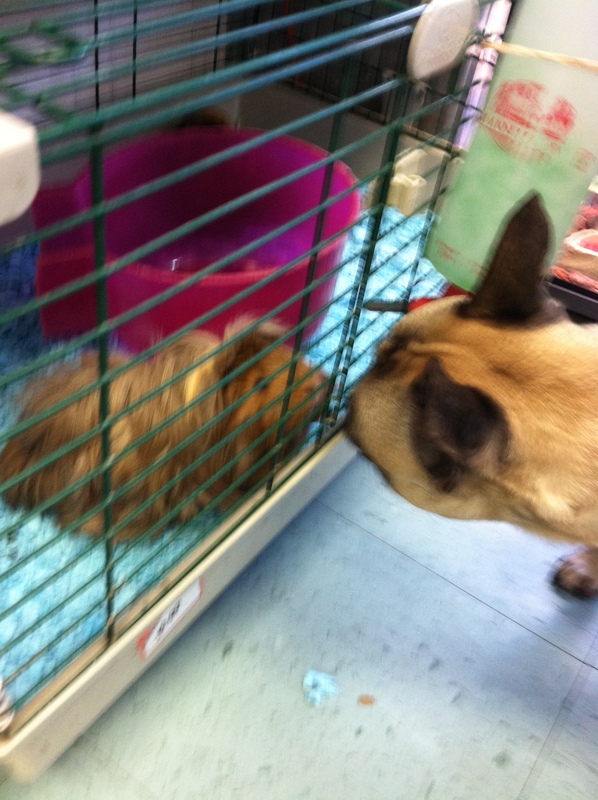 Better late than never and better late and also with a cute picture of Marshall making a new guinea pig friend at the pet store yesterday. Active Child’s “Hanging On” has been on constant repeat in my ears as of late – and with the chill of fall starting to settle in, I’m pretty sure its position at the top of my playlist won’t be going anywhere anytime soon. It seems as though Ellie Goulding is a fan as well and with the help of Tinie Tempah, the two put out an equally icy cover. Ellie’s new album, Halcyon, is out today, which you can stream below on Spotify.